An MP will today (Wednesday) call upon UK Ministers to allow asylum seekers the right to work. Since 2002, a person waiting for their asylum claim to be decided has been prohibited from working. As asylum seekers cannot lawfully work, they often have to rely on Government or charitable support to live. 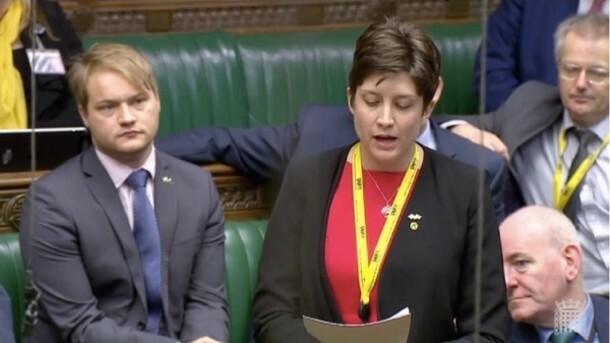 Leading a Westminster parliamentary debate, SNP MP Alison Thewliss, will call for the changes to UK immigration rules. This follows the publication of a working paper by Warwick University last month, which shows that allowing asylum seekers to work could save tens of millions of pounds for the UK Government. Thewliss will also use the debate to speak about asylum cases she has dealt with in her capacity as the MP for Glasgow Central. Her calls for changes in immigration policy today are supported by a coalition of charities and campaigning groups. “For far too long, under successive Governments, asylum seekers have too often been viewed with scepticism and treated with contempt. Today’s debate is a real opportunity to refocus and remember the origins of the word asylum – that is the protection granted by a state to someone who has left their home country as a political refugee. “The increasingly poor treatment of asylum seekers and the removal of the most basic rights is nothing short of degrading and simply adds further misery to those who have fled persecution, war, famine and sexual violence. “I know from speaking to some of the asylum seeking constituents I represent that life is made ever more difficult due to the draconian restrictions placed upon them by the UK Government. These restrictions range from the threat of detention, regular and unsettling signing sessions at the Home Office, right through to the ban on working. “We know that permitting asylum seekers to work would allow them to integrate better into society, develop their English and make friends in what can often be a lonely and new environment. Many are professionals with skills they would love to put to use. This powerful working paper from Warwick University also sets out the significant savings that the Government could make if it made a fairly modest change to the immigration rules. “Another issue I plan to raise in today’s debate relates to the punitive rules the Government has around volunteering and unpaid work.